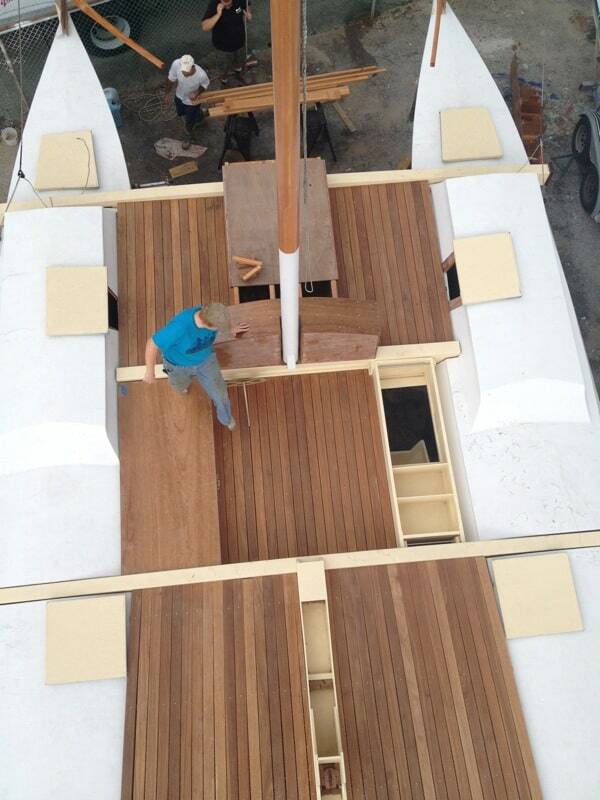 For me this deck is what makes MON TIKI special. At 38 feet and 8,500lbs displacement, MON TIKI is a relatively modest vessel. (For comparison, our previous boat, a Catalina 38 monohull, weighed in at just under 16,000lbs.) But there’s nothing modest about the nearly 300 square feet of deck space she boasts. MON TIKI’s designer, James Wharram, is know for his keen attention to “social ergonomics”, giving people the kind of spaces they need to be comfortable on board, and MON TIKI’s generous deckspace, is key. There’s room to relax and unwind. Room for a big party. Room to dance. Room to just be yourself!